Thu., 19 Sep. - Sun., 22 Sep. Tue., 6 Aug. - Mon., 12 Aug. Sat., 9 Nov. - Wed., 27 Nov.
Fri., 9 Aug. - Fri., 16 Aug. Thu., 20 Feb. - Wed., 26 Feb. Sat., 1 Feb. - Sat., 8 Feb. Sun., 15 Sep. - Fri., 27 Sep. Mon., 20 Jan. - Thu., 20 Feb. Sat., 9 Nov. - Fri., 29 Nov. Mon., 16 Sep. - Thu., 26 Sep.
See all 325 properties in Cozumel Intl. 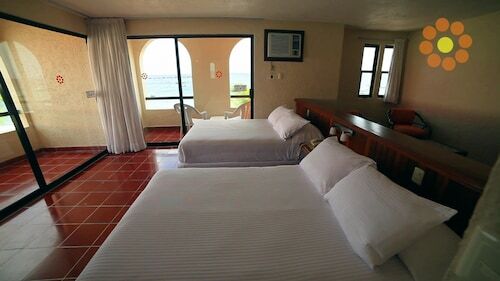 Situated near the airport, this inn is within 2 mi (3 km) of Los Cinco Soles, Cozumel Museum, and San Miguel Church. Benito Juarez Park is 1.5 mi (2.3 km) away. 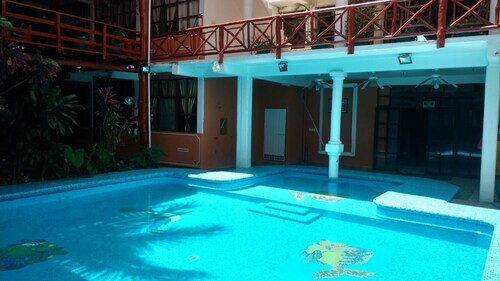 Situated near the beach, this hotel is 0.5 mi (0.8 km) from Maya Heritage Monument and 1.8 mi (3 km) from Dolphinaris. Los Cinco Soles and Cozumel Museum are also within 15 minutes. 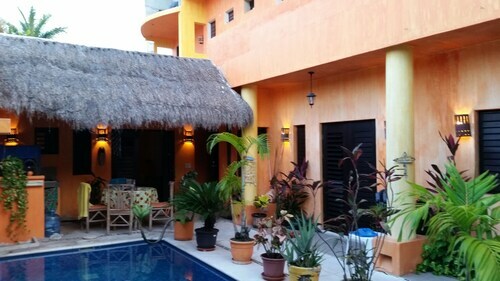 Situated in Cozumel, this apartment building is 0.7 mi (1.1 km) from Maya Heritage Monument and 2 mi (3.3 km) from Dolphinaris. Los Cinco Soles and Cozumel Museum are also within 1 mi (2 km). 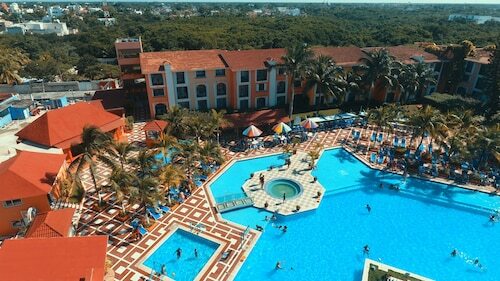 Situated near the beach, this hotel is within 1 mi (2 km) of Punta Morena and Dolphinaris. Museo de la Isla de Cozumel and Rafael E Melgar Statue are also within 5 minutes. Best traveling day I’ve ever had. On time no line ups and smooth flight! Very friendly and Mindful of security. No entertainment on Cozumel flight but otherwise great flight. Was not made aware that the destination had stairs to the aircraft - it was awkward.